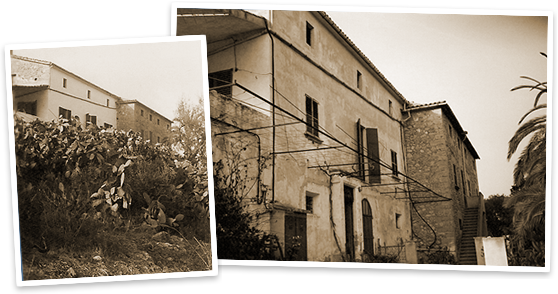 The Can Estades country estate, originating in the 16th century, was lovingly restored in 8 years. The present owners placed high value on maintaining the original style of the house and used high quality materials close to nature. The old original non-load bearing beams were even partly re-installed. The old kitchen with its open fireplace is a cosy meeting place for guests on cooler evenings. The old barn floor has been restructured as an events hall, where seminars, training sessions, concerts, lectures and celebrations can be wonderfully organized.